Ghana Division One League side Great Olympics have confirmed the signing of Bernard Don Bortey and Roger Sackey. The experienced winger put pen to paper on a two-year-deal with the Dade Boys ahead of the forthcoming Normalisation Committee Special Competition. 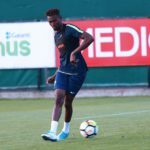 The 35-year-old, who enjoyed a trophy-landen spell at Hearts of Oak during the early 2000's, has been a free agent since leaving second-tier side Samartex FC three seasons ago. The dead-ball specialist however made an attempt to re-launch his career with the Rainbow Club prior last season but the move hit a snag after then club coach Frank Nuttal vetoed the deal. Meanwhile, Bortey was not the only player to join the Blue and White lads as the club announced the capture of Roger Sackey. 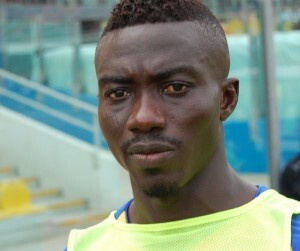 Ace Ghana forward Bernard Don Bortey pens a 2-year deal with Accra Great Olympics. 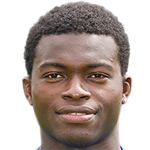 Also signing for the club today is Roger Sackey, son of Ex-Ghana International, Emmanuel Sackey. "We have signed Don Bortey & Roger because they are professional players who are just returning from overseas to bring their rich experiences to bear on a relatively young Olympics Squad.